It was a Marantz receiver with speakers, that we had mustered up enough money to purchase with our respective summer jobs. Mom & Dad threw in the last few bucks and we were finally going to have a real “stereo”, a “component system” in our room. Our purchase, coupled with a Sony Turntable & Pioneer cassette deck we acquired from an Uncle who dabbled in audiophile equipment, brought high end stereo sound to our lives! Of course, it is here where Ted and I diverged… in the output of sound…. Like most generation X’ers, POP and ROCK sounds were no strangers to us and Ted was happy to blast his share of Boston, Billy Joel, The Eagles, Pink Floyd, and the like. I, on the other hand would begin exploring more eclectic sounds. The sounds of Orthodoxy. The ability to play high quality LP’s and Cassettes opened to me not only a world of Classical Music which was also a passion, but also allowed me to explore the sounds of my ancestors’s past. The other-worldliness of some famous Greek Orthodox Chanters like Theodore Vassilikos, whose expertise and artistry had begun to make him a celebrity in the worldwide Greek Orthodox Church, was accessible via a cassette that could be found in the world music section of many fine record stores. Digital albums of services on Mount Athos and Pascha in the Russian Monastery of Zagorsk were found under the categories of medieval music at the same store you could purchase the original cast album of FAME! Through this nascent corpus of high quality recordings of Orthodox Church music, I began to truly develop my love for the genre. What is most astonishing is that these recordings revealed to me the fact that my faith, which was given to me mostly because I was an American Greek and that was part of my “heritage”, had a certain universality because it was divergent and more than just “Greek”. 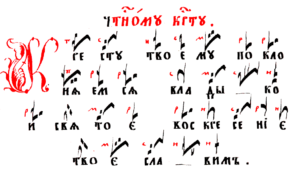 Orthodoxy was actually expressed/prayed using musical forms that were totally different from what Byzantine Chant was! Listening to Russian Choirs, I heard more of what I was experiencing in the high school select choirs I was singing in which included many classics of Western Music! Mozart, Bach, Vivaldi, Brahms…. their choral music was like that of Russian and Ukrainian Orthodox composers like Bortniansky, Archangelsky, Rachmaninoff… and it was accepted and used by Orthodox Christians. These sounds, so dear to my American/western ear, actually had a place in my Eastern Christian Church. So it was possible to be Orthodox and express it in a way that was quite unhellenic but was still beautiful and – what a mind-blowing concept….this just unraveled the naïve Greek Orthodox cultural cocoon I was living in. As I explored and studied over the next years, I would learn that melodies used by Tchaikovsky in the 1812 Overture were actually sung by Russian Orthodox people right here in America every Sunday during liturgy! That was some revelation! I would learn that there were musical traditions of all of the Orthodox of the Balkans, Baltic States and Caucasus and that each was a separate facet in the brilliant jewel that was Orthodox liturgical music. However, I am also an Orthodox Church choir director who is privileged in that he is able to share choral music from many Orthodox traditions, Romanian, Ukrainian, Russian, Georgian, Serbian and more recently American. For it is through these many cultures that the fusion of East and West is so well realized. 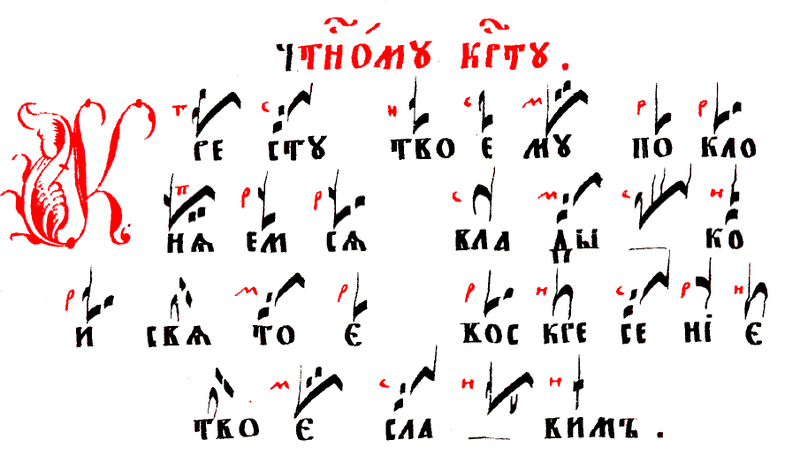 In these choral traditions our Western ears – which may still appreciate Eastern tuning but will look to the west in coming generations ever more and more, that the ethos of Orthodox worship – its mystery, its transcendence, its transformative power, its ability to bring one to God’s throne in heaven, can be best expressed to the masses both Orthodox and non-Orthodox alike. Yes, from that first “stereo” I found music that can bring people to salvation…..
St Anthony Magazine is a blog for the Orthodox community. Please join in the discussions under the articles and enjoy yourself. Please feel free to browse through and post in discussions but be considerate of other people.